Celebrating its 50th anniversary, Fantin has introduced a new kitchen furniture line that is made from metal and comes in 40 colors. 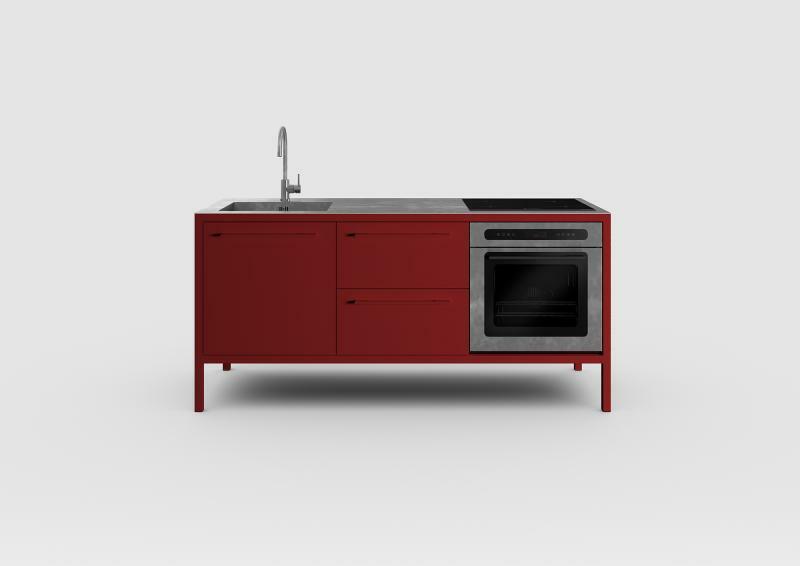 Debuting at Milan Design Week 2018 in April, the Frame Collection is a new line of freestanding kitchen islands that with a sink, cooktop, and space for an oven. Pieces feature a minimal, clean design, light, thin legs but with a “structural solidity” to anchor the kitchen. 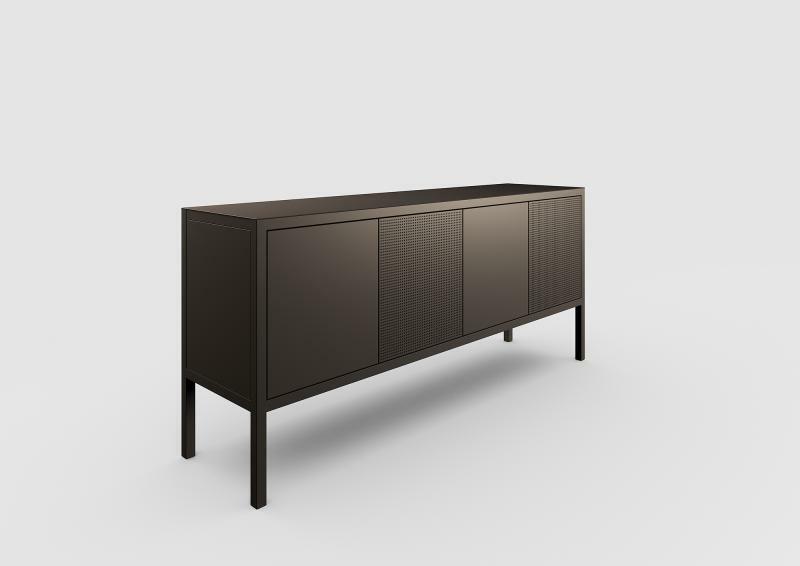 “The range fuses stylistic simplicity with flexibility to provide the scope for tailor-made creations,” the company says. 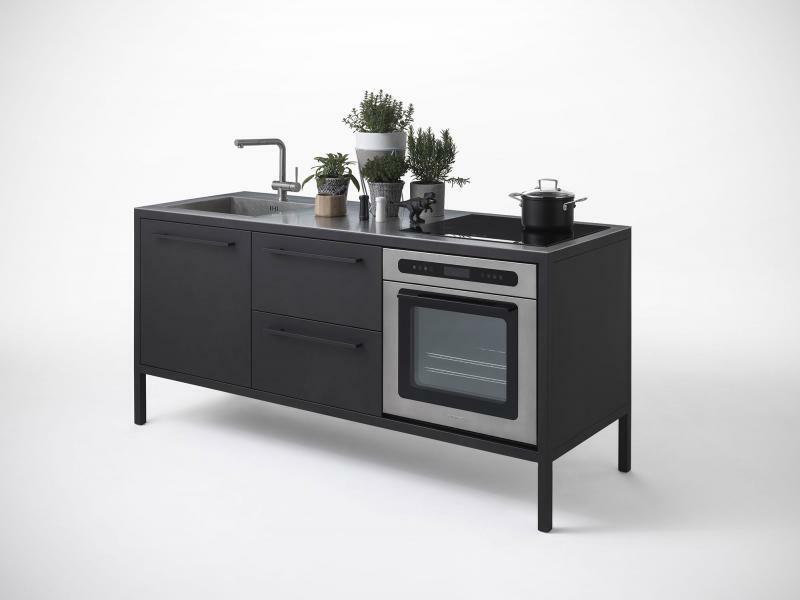 Pieces include cupboards of various sizes, tables, and a kitchen workstation that is available both without accessories and with a sink, an induction cooktop, and an oven. “On request, customers can choose to add another appliance to suit their individual needs,” the company adds. The line comes in a range of 40 colors ranging from neutral tones to brighter hues.